Fitment and finish is of the upmost important aspects when it comes to adding a new set of wheels for your car. Some times you know just what type of wheel you want but they dont offer it in the correct dimensons for your application. Luckily, there are places like Project Kics which make magnificantly durable spacers to help remedy any such issues. 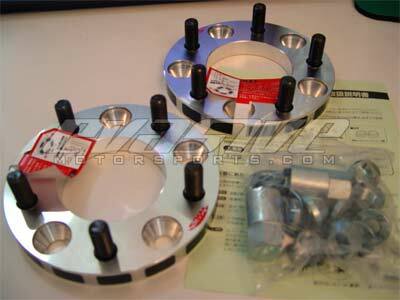 If you hit up Evasive you can get these spacers anywhere between 10mm all the way up to 30mm in practically any bolt pattern you need.